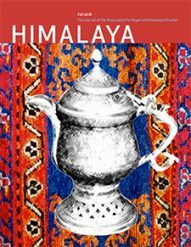 HIMALAYA, the Journal of the Association for Nepal and Himalayan Studies, publishes peer reviewed original research articles, short field reports, perspectives pieces, book and film reviews, reports on meetings and conferences, alongside literature and photo essays from the region. Click here to view examples on how to choose keywords when submitting an article to HIMALAYA. Click here to download the Style Guidelines for submitting articles, reports and reviews to HIMALAYA [last updated 11 April 2018]. Click here to download our Special Issue Proposal Guidelines. Once you are sure that your paper conforms to the style guide, please submit it online for review and consideration by clicking here.